The last week, and going into this one, has been very busy — my husband has had a lot of more computer business lately (he works out of our home and I pick up and deliver, since I’m the one that likes to drive! ), and we’ve been helping a friend with his moving, so I haven’t had much time for yarn dyeing. I do hope to list a few skeins either tonight or tomorrow. He will soon be moving to Washington State, and as a thank you for us helping him to move some of his things and do some house cleaning, he is giving these to us as a gift! We are just thrilled with them, as our current bookshelf space has been limited up till now! I’m sure as time goes on, though, we’ll have to replace the glass shelves with wood shelves to make room for more books — we have 6-going-on-7 readers in the house, so we’ll need it! 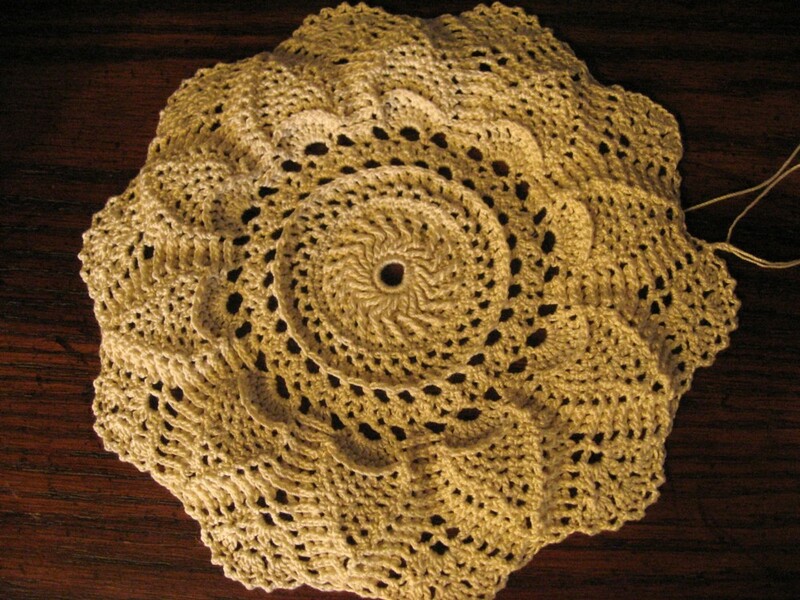 When I’ve had a moment or two at the end of the evening, I’ve been picking up and working on a crocheted doily! I used to make many of them in the past, but had to stop for a time, because it was very hard on my wrists (why knitting doesn’t bother them, I don’t know). But I’ve found lately, if I just do a little at a time, it’s not too bad. 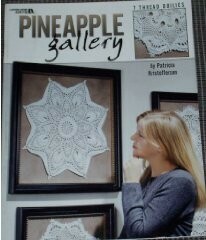 Right now I’m working on Doily #4 from the book “Pineapple Gallery” by Patricia Kristoffersen. 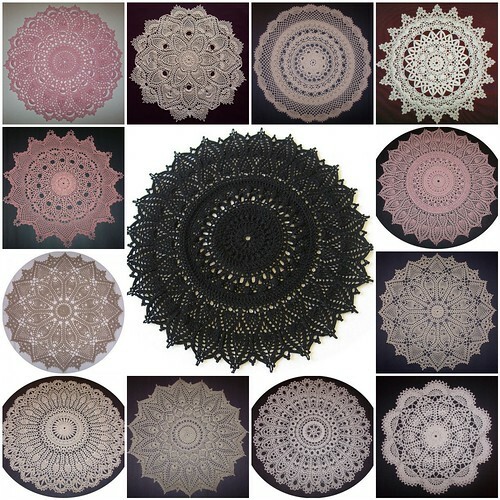 I spent most of the day yesterday adding all the pictures of my doilies onto my Ravelry page – you can find them here on my Ravelry page if you are a member!